More than 70 cans and bottles of beer, cider and spirits have been seized during police anti-social behaviour patrols in the Chesterfield area. Officers from the local Safer Neighbourhood policing teams stopped around 60 underage drinkers in the Queen's Park and Holmebrook Valley Park area on Friday, June 13th. 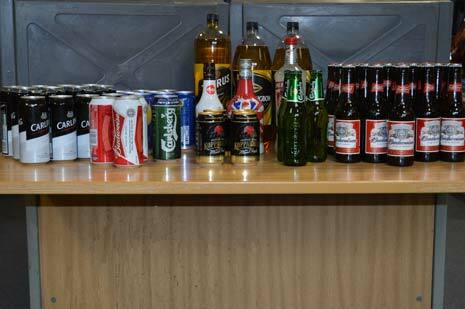 The youngsters were sent home and alcohol warning letters will be delivered to parents. A 16-year-old boy was taken home to his parents because officers believed he was too drunk to get himself home safely. Police are now asking parents to make sure they know what their children are doing when they are out and reminding all adults that it is an offence to buy or supply alcohol to under 18s. The penalty for anyone caught buying alcohol for an under 18 is an on the spot fixed penalty notice of £90, which could rise to £1,000 if the case goes through to court. 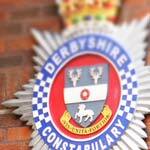 Inspector John Turner, who is in charge of policing in the Chesterfield Borough area, said: "Underage drinking and anti-social behaviour is something that we continue to target alongside partnership agencies. It isn't just about punishing those drinking below the legal age limit; it's also to protect them from getting into harmful situations and possibly causing a nuisance to other members of the community. "I am pleased that we confiscated such a large amount of alcohol that could have been consumed by underage teens with potentially dangerous consequences." Insp. Turner added: "I would encourage parents to make sure they know where there children will be while they are out with friends, and that they are aware of the all risks and possible consequences of drinking alcohol underage and to excess. "We would also like to remind all adults that if you provide or buy alcohol for a youngster then you are breaking the law. You risk a fine and even prosecution, but more importantly you are putting their safety at risk." To contact your local Safer Neighbourhood policing team call 101, email chesterfield.neighbourhoods@derbyshire.pnn.police.uk or visit the website: www.derbyshire.police.uk.